Set up bowling using empty two-liter soda bottles. If preferred, the bottles can be weighted with sand or water. Colored sand or food color-tinted water is a nice touch. 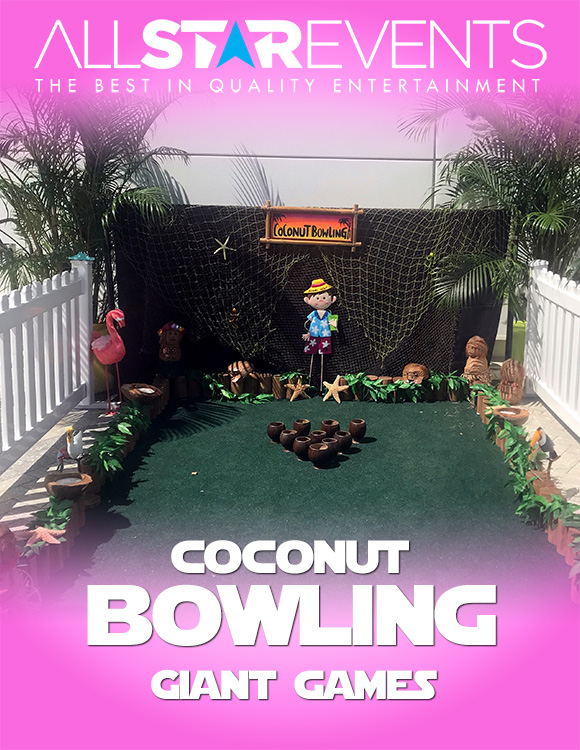 For a ball, use a coconut to continue the luau theme.